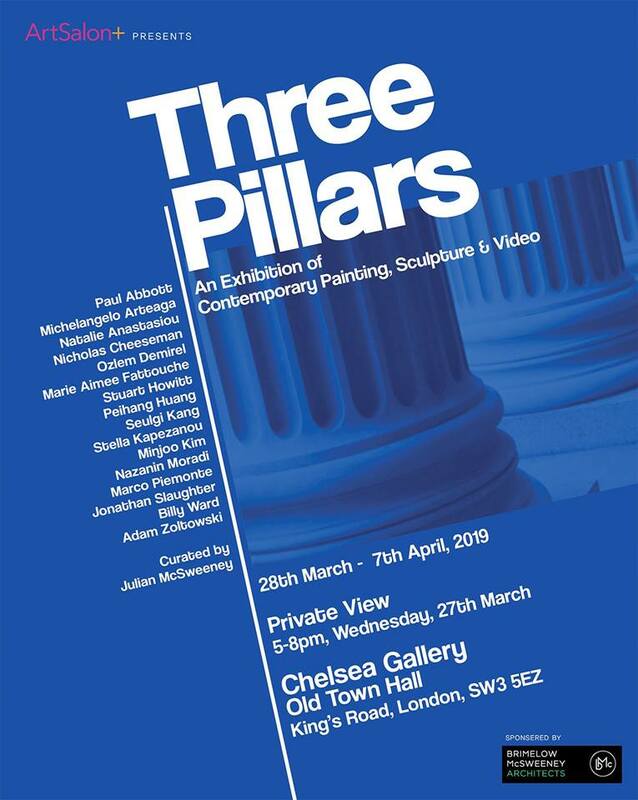 Art Salon+ presents an Exhibition of Contemporary Painting, Sculpture & Video featuring a selection of 16 rapidly emerging artists who have graduated from the Master's Degree course in Fine Art at UAL/Chelsea College of Art during the last five years. Focusing on three central pillars of contemporary visual art, this exhibition explores the shared language and shifting boundaries between painting, sculpture, and the moving image in the post-digital age. EXHIBITION DATES: Thursday, 28th March until Sunday, 7th April, 2019.